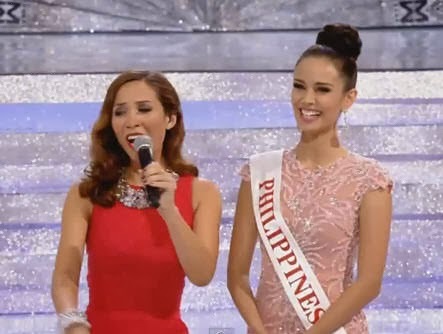 That is a portion of Megan Young's answer during the Question and Answer portion of Miss World 2013 coronation night held in Bali, Indonesia. When Top 6 of Miss World 2013 were announced, their preliminary scores were erased making the finalists on equal footing with their battle for the blue crown. Megan managed to capture the spotlight as ever with the final question and answer. Final Question: Why should you be Miss World? Once more, many thanks to HotAdNews for uploading the video!